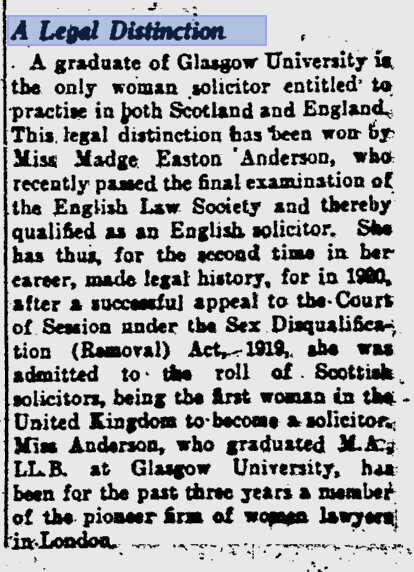 Madge Easton Anderson (1896-1982) was the first woman in the United Kingdom to qualify as a solicitor in December 1920, following a successful petition to the Court of Session (Scotland’s highest civil court), although the decision was not formally registered until January 1921. She was also the first woman qualified to practise law in both Scotland and England, and to be a partner in the first UK law firm to be run exclusively by women. The full version of this landmark is written by Alison Lindsay.